If you checked my posts before and especially LAB scenarios maybe you noticed I didn’t tag VLANs and reason is I didn’t want to complicate things and I know that some people have problem with understanding how it all works in comparison with physical switches and all. This post is meant to help clear that and I hope it will help in better understanding of Hyper-V Virtual Switch. Network virtualization provides multiple virtual network infrastructures run on the same physical network with or without overlapping IP addresses. Each virtual network infrastructure operates as if they are the only virtual network running on the shared network infrastructure. 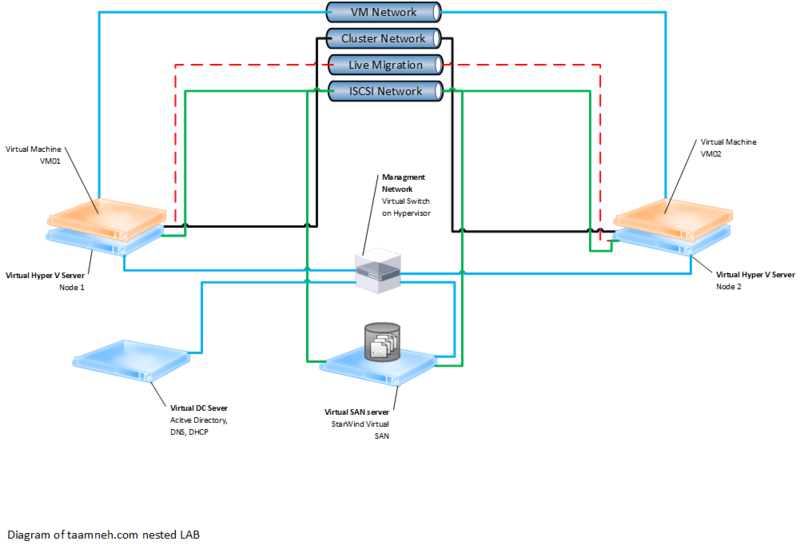 Hyper-v Network Virtualization also decouples physical network from virtual network. Hyper Converged infrastructure is based on servers where disks are Direct-Attached Storage (DAS) connected internally or by using a JBOD tray. Each server (at least four to implement Storage Space Direct) has their own storage devices. So there are no shared disks or JBODs. Hyper Converged infrastructure is based on known features as Failover Cluster, Cluster Shared Volume, and Storage Space. However, because storage devices are not shared between each node, we need something more to create a Clustered Storage Space with DAS devices. This is called Storage Space Direct. 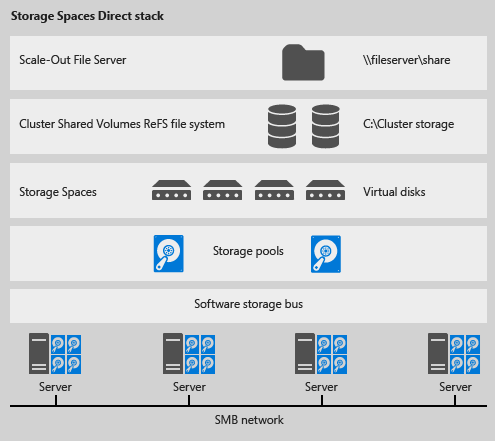 Below you can find the Storage Spaces Direct stack. 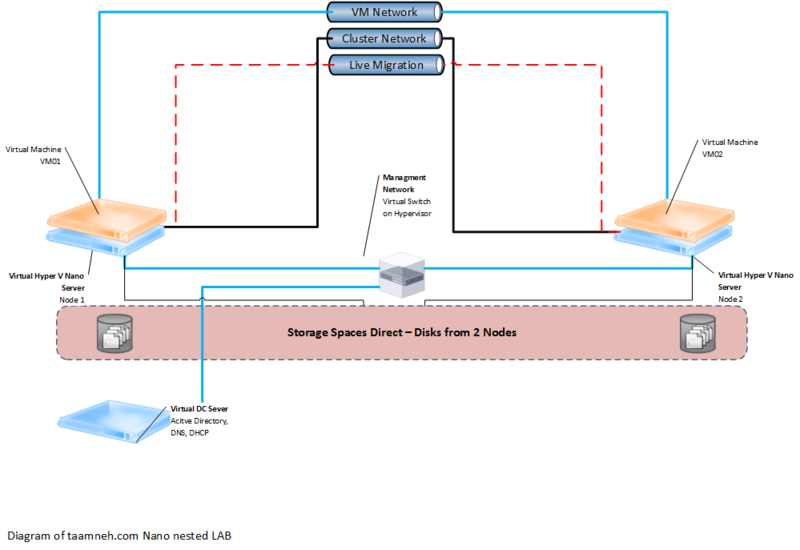 On network side, Storage Space Direct leverage at least 10G networks RDMA capable. This is because replications that occur though Software Storage Bus need low latency that RDMA provides.